Between my return from Borneo and my week-long (mostly flu-ed up) visit to Sydney in August, my life list on eBird had a total designed to drive those with OCD to distraction. After getting a Banded Woodpecker on my last full day my eBird life list was sitting pretty at 1500. Then I had to take out the Green Iora, which, on close examination of the photos, was only a Common Iora after all. This dropped the list down to 1499, where it has sat for most of the year, annoying the mild completist in me. Of course, I have seen many more birds than this, but between having terrible notes, really awful notes, or entirely lost notes, eBird doesn’t represent my total life list at all. What my actual life list is is a mystery even to me, so it could be anywhere between that number and 10,000. Most likely down at the lower end, mind. You know, around the eight thousand mark or something. So, on seeing my lifer Bassian Thrush in Sydney, I was glad to have a) finally seen that species and b) finally glad to tick that arbitrary odometer up to a meaningless milestone. Thing is, I saw, as I logged into eBird, that the milestone had already passed, which was odd, because I hadn’t seen many birds in New Zealand this year, and certainly would have remembered a lifer (my last was the Parasitic Jaeger). So I was very confused, and it was some time till I worked out what had happened (I blame the aformentioned flu). It comes down to the other reason why eBird doesn’t have all the birds I’ve seen. It was a split. An armchair split, no less. eBird’s taxonomy was being updated, albeit not with what most desperately needs to be updated, the great albatrosses (c’mon, the Wandering complex has been split for over a decade people), but with a species I had seen in a few places and never suspected needed splitting. 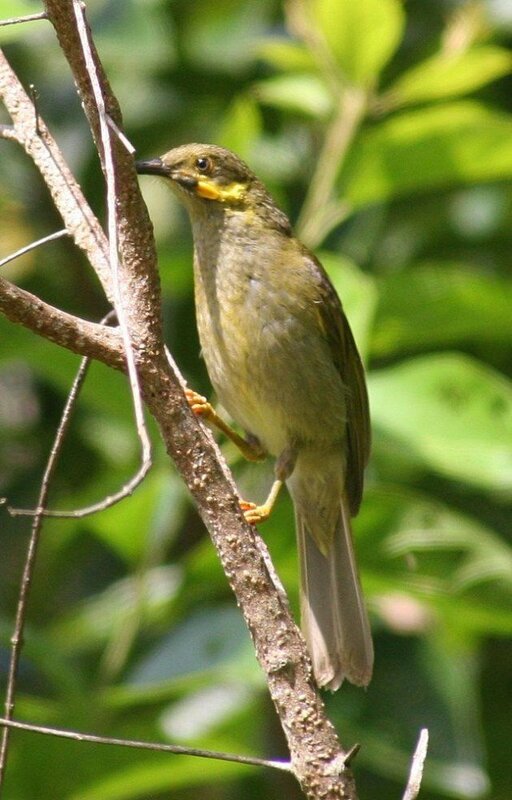 The Wattled Honeyeater. We seem to live in an age of splitting, only last week it was announced that another 460 odd species have been split. Most of these splits are happening in the islands of South East Asia, but a few are happening in the islands of the Pacific. I’ve written before about how the Collared Kingfisher is a million splits waiting to happen (not happened yet), and the golden whistlers of the Pacific have been split now (giving me on from Fiji, one in Australia and one in Vanuatu), but I hadn’t really expected the Wattled Honeyeater to be a split. 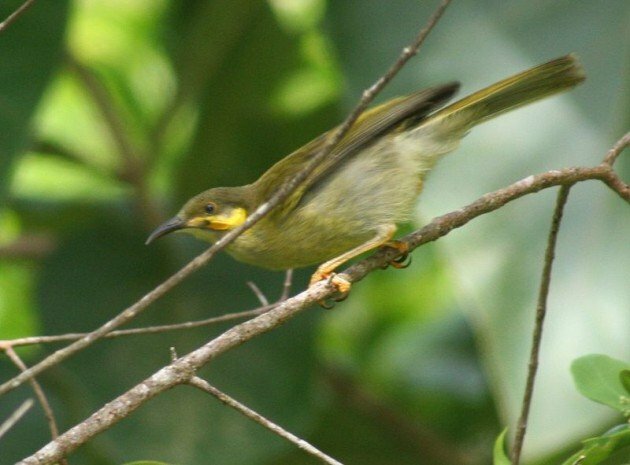 The Wattled Honeyeater is a species, or now more accurately a genus, found in eastern Melanesia (Fiji) and in western Polynesia (Samoa and Tonga). In spite of the bird extinctions that have plagued the islands of the Pacific, it doesn’t seem to have suffered that much; I saw it in gardens in both Fiji and Tonga. I’m speculating, but the aggressive and ornery nature of honeyeaters may have afforded it a small amount of protection from introduced species. 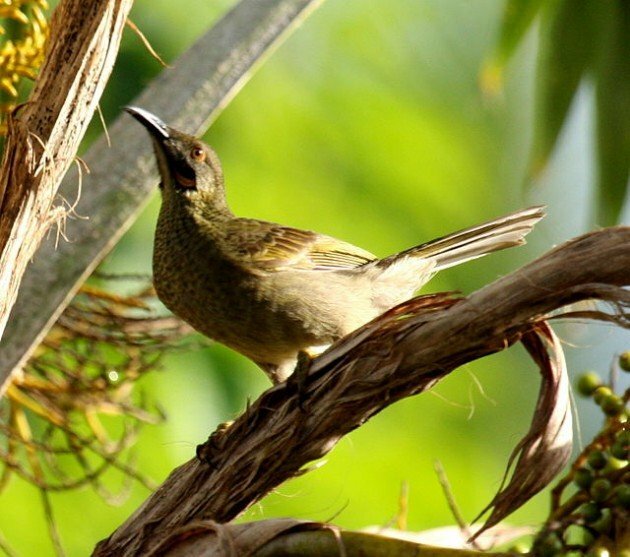 It turns out that the wattled honeyeaters are part of a radiation of endemic Pacific species, rather than (as is often the case with island species) relics of genera that once thrived elsewhere. At any rate the species should now be listed as the Eastern Wattled Honeyeater, which is the one I saw in Tonga and is also found in eastern Fiji and Samoa, the Northern Wattled Honeyeater (found in the islands of Tavenui and Vanua Levu) and the Western Wattled Honeyeater, which is the one I saw in Nadi in Viti Levu. Hopefully someone will give these species some more inspired names than this. 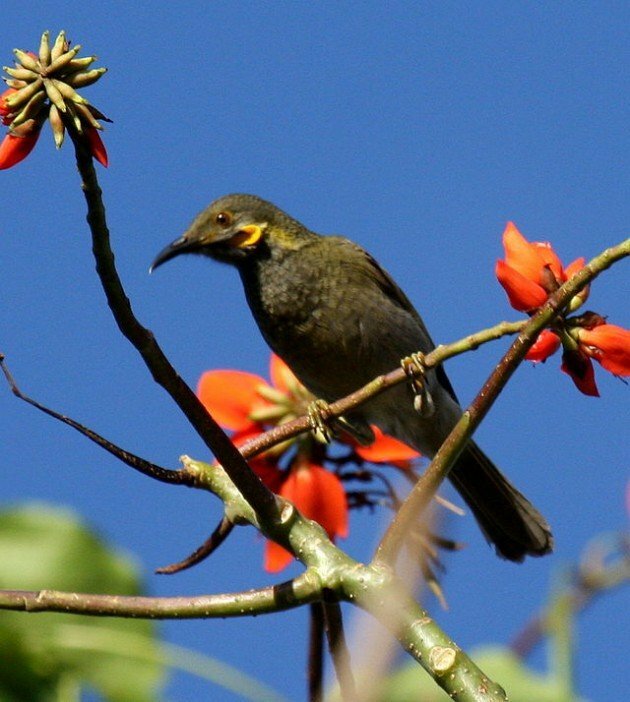 Northern Wattled Honeyeater in Tavenui. Image by Tom Tarrant, CC. The pertinent point about these splits is not actually one of expanding one’s life list (even one as phantom-like as mine), however. The real problem we have is that where we thought inthe past that species were secure because they existed on many islands, we’re increasingly finding that instead we have multiple species all with tiny ranges and decreasing populations. I don’t think the disturbance tolerant wattled honeyeaters are in any particular danger, but not all island species are in such great shape. Hopefully identifying these new species has happened soon enough for some of them to be saved.